Oh and this week I'll be doing a write up on the best daily detox habits to bounce you back from the festive season. This blog post coming to you next week! Trust you had a beautiful start to the new year! While many people go over their previous year and set goals and intentions just before the new year, I'm rather flexible with the 'when' this happens. It's more important that you do it, over when you do it. After all new goals and intentions can be set every day, right! 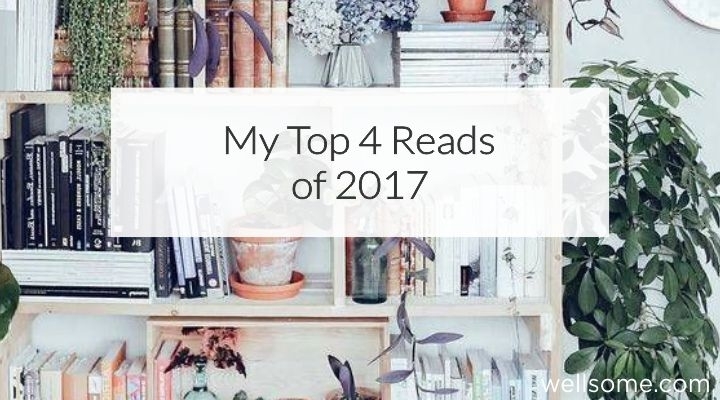 But it got me reflecting on a 2017 goal I had to read more books and I read some amazing books that now I highly recommend to others, so it was only natural for me to want to share them with you. Why? Well I think they will rock your socks as much as they did mine. Side note: Live in Sydeny? Come join me for a Free Health event this Thursday 11th in the City, come say hi and let's meet up for a drink (smoothie, mocktail or juice) - it's way to hot for tea. → January 20th - *Exclusive* Launch Event. Yes I'm launching something very exciting, I'm doing an in person live Launch event here on the Gold Coast and for those further away I'll be doing an exclusive online Launch as well. → January 25th - LIVE Radiant Skin Masterclass. I haven't launched the information for this yet however if you have "radiant glowing clear skin" in your new years resolutions this is for you! And for the entire month of January I'm running the 28 Day Be Healthy Challenge? It's not to late to join us, read up on what it's all about here. We have 11 FREE Masterclasses happening in the Private group. Want to get involved or learn more on any of the above, how to register, how to get an invite or join us reply to this email. I'd love to hear from you. Have an amazing week beautiful! I'm be doing a write up on the best daily detox habits to bounce you back from the festive season. This blog post coming to you next week! ps. I'm be doing a write up on the best daily detox habits to bounce you back from the festive season this week, coming to you next week on the blog. pps. Join our FREE Facebook community, here.